Movistar's Alejandro Valverde finished at the fourth position in the 15th stage of the Vuelta a España. The Spaniard remained in the second place of the overall classification of the race. 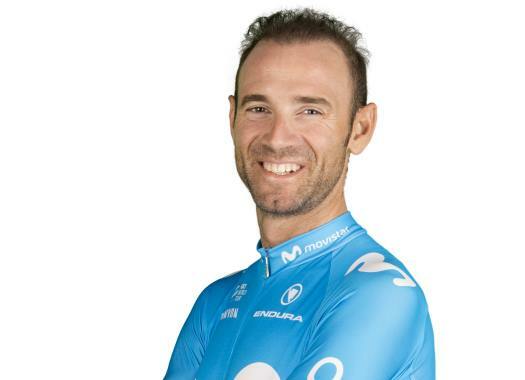 Valverde was strong on the last mountain day of the second week of the race and was seen pulling the group that his teammate Nairo Quintana was in. "It was another really difficult day," he commented at the end of the day. "I was once more with the best and I stayed in my position. Astana set a very high speed since before the climb and made things very difficult for us. "Miguel Angel (Lopez) launched a strong attack from down and that increased the suffering of all of us, but among everything, it was a beautiful day. The ascent was without a doubt the fastest that I've ever done on that climb. I tried to climb in a regular way, to pull when it was needed by Nairo and at the same time to lose as little time as possible." Valverde took charge of the favourites' group to try to protect the time of Quintana. "I also took charge of closing the gaps, like when Yates went away," the Spaniard explained. "Nairo kept telling me 'pull, pull'. "When I could catch my breath I pulled but then I started suffering a bit more. When I couldn't do it anymore, the others tried but couldn't manage to maintain the rhythm. I saved all the energy I could and knowing that the last part was easier, I gave it all to the arrival."